The Centre for English Language Teaching (CELT), established in 1988, is part of UWA's Student Services. CELT reflects the tradition of the University, providing high quality English Language teaching in a friendly and attractive learning environment. All teachers have degrees and specialist qualifications in English language teaching. The Centre takes a communicative approach to teaching and give students many opportunities to practise language and learn about life in Australia through tasks, activities and projects. Perth International College of English is the most centrally located English language school in the heart of Perth city. Students from all over the world come here to learn English and experience a wonderful Australian life-style. Whether learning language skills for further study at University, Business College or High School, or learning English to help further a career by passing an exam, or simply learning the language for travel and new experiences, student achievement is the College's vital concern. Set on a truly magnificent campus, GEOS Perth (St Mark's International College) has developed a fine reputation as one of Australia's prestigious English Language institutions. 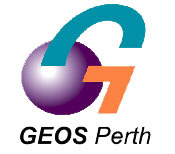 Having won the West Australian Industry and Export Award for 2004, the State's premier award, was in recognition of the high standards maintained at GEOS Perth.